One important message of this psalm is that God knows us infinitely better than we know ourselves: every aspect of our past, present, and future; all our secret thoughts and hidden motives. Whether this idea is deeply comforting or deeply frightening to you will determine how we respond this psalm. God’s intimate knowledge of us, after all, is a potential problem: God knows the sin and evil that lives within us. A God who is committed to justice can’t ignore that. When David says, “Oh that you would slay the wicked, O God,” where does that leave us? 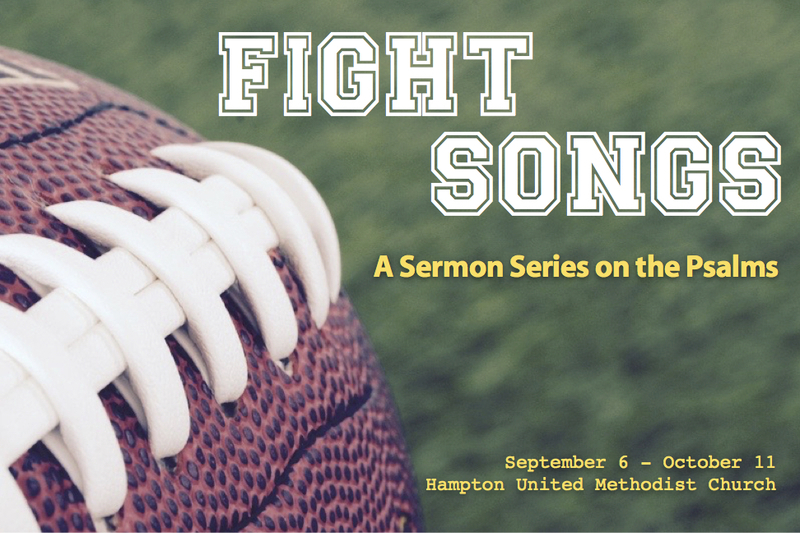 Listen to this sermon and find out. In the whole history of bad ideas, I just read last week about one of the worst: It’s an app for our phones that is a little like Yelp. Yelp lets you review restaurants and other businesses. So before you try a new restaurant, let’s see what Yelp says about it. And that’s wonderful—the more information the better. But this new app, called “Peeple” will let you review—gulp—your fellow human beings. You get to assign other people a rating from one star to five stars and anyone in the world can read it. And anyone in the world can rate you—as a person. I know! So we live in this age of the selfie. We live in an age that’s obsessed with taking pictures of ourselves—obsessed with superficial images. More than ever, we want people to see us, to notice us, to value us; we want people to like us on Facebook; to swipe right instead of swiping left on Tinder; to tap-tap on our pictures on Instagram. We desperately want people to know us—or at least to know this very carefully curated image we put forward—we want them to know us without really knowing us. Because we’re desperately afraid that if people knew the real us—the real person underneath the image, the real person underneath the carefully selected selfie, the real person underneath yet another “humble-bragging” post about how wonderful our life is, our spouse is, our family is, our job is—well… if they knew that real person, we’re afraid they wouldn’t love us! And we may be right! 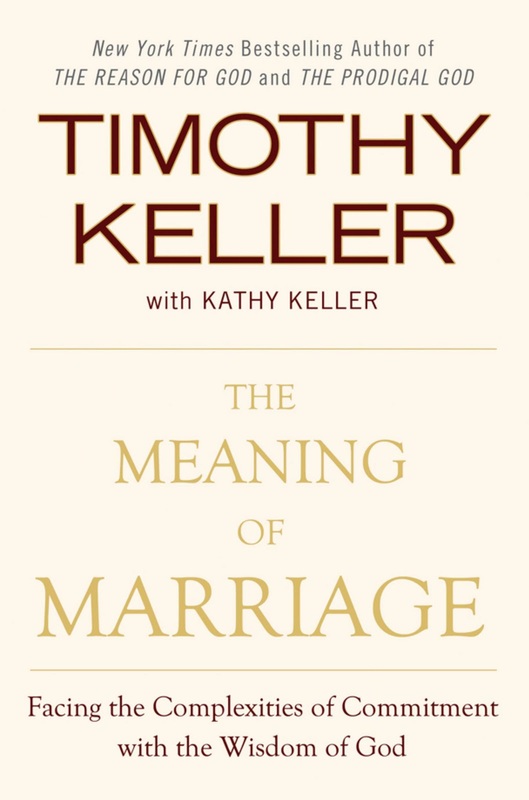 In his book The Meaning of Marriage, pastor Tim Keller shares an important insight about the main reason we struggle in marriage, and why marriages often fall apart. He said, “It’s not that we didn’t know this person very well before we got married. And then—after we marry them, we really get to know them. And now that we know who the real person is—well, we can’t get along with that person.” No! He said that our biggest problem in marriage is that marriage has a way not so much of teaching us who our spouse really is, but teaching us who we really are! It’s not so much that we learn who our spouse is and don’t like them; we learn who we are and don’t like ourselves! Keller’s book mostly agrees with this psychologist’s diagnosis. Marriage teaches us the truth about who we really are more than anything else. Marriage brings out the worst in all of us—it shows us how selfish and petty, lazy and ill-tempered and mean we can be. What amazing grace it is that our spouse sees us at our absolute worst yet continues, we hope, to love us, to stick with us! What amazing grace that in most cases the person who knows us best in the world, our spouse, probably wouldn’t give us less than a three-star review on the new Peeple app! From whom no secrets are hidden. Is this thought comforting or is it frightening? The answer will determine how we respond to today’s scripture. In the first stanza of this psalm, it seems like a very comforting idea—unambiguously a good thing. Until we get to verse 6: “Such knowledge is too wonderful for me; it is high; I cannot attain it.” The word “wonderful” doesn’t mean “It’s wonderful,” as in “great”! It means “incomprehensible”—I can’t fathom how well God knows me! And the words “I cannot attain it” really mean “I can’t defeat it, conquer it, overcome it.” As much as I might want to hide from God, I can’t. It’s like Adam and Eve in the Garden of Eden after they’ve sinned. It’s pathetic what they try to do to hide from God! They realize they’re naked and try to hide in the woods—as if God hasn’t seen them naked; as if God doesn’t know where they are! But are we so different? Then we have verse 7: “Where shall I go from your Spirit? Or where shall I flee from your presence?” Where shall I flee from your presence? The words “flee from your presence” mean, literally, to run away from God as fast as possible. They are the same words used in Jonah chapter 1, verse 3, when God called Jonah to go and preach to the Ninevites, and Jonah didn’t want to go. So it says, “But Jonah rose to flee to Tarshish from the presence of the Lord.” To flee from the presence of the Lord. Jonah tried to escape from God! 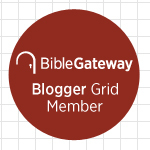 Maybe you recall the story: Jonah boards a ship headed for Tarshish, modern day Spain, on the other side of the Mediterranean, hoping, in vain, to flee from God’s presence. But God finds him; God sends a terrible, deadly storm as punishment. And God arranges events such that Jonah is brought back home—humbled, penitent, chastened by the experience; ready at last to do what God called him to do. As C.S. Lewis said, “We are not necessarily doubting that God will do the best for us; we are wondering how painful the best will turn out to be.” It was painful for Jonah… but good for him. Lennox has got a point: If God is real, and God knows us as well as this psalm says, and we can’t escape from God, that is potentially some very bad news for us! The psalmist ends the psalm saying, “Search me, O God, and know my heart! Try me and know my thoughts!” And I want to protest: “Not so fast!” In an earlier psalm, Psalm 130, the psalmist says, “If you, Lord, kept a record of sins, Lord, who could stand?” And the answer is, no one! Yet here the psalmist is asking God to examine him, to put his life—his most intimate thoughts, feelings, and actions— under a microscope! To make matters worse, we have these challenging words in verse 19: “Oh that you would slay the wicked, O God!” If none of us could stand before God because of our sin—if all of us are wicked because of our sins—and here David is wanting God to slay the wicked, where does that leave David? Where does that leave us? If David invites God to slay the wicked, how is he so confident that this wouldn’t include him? None of us sinners can stand before a holy God without being destroyed! Shouldn’t we all fall under this judgment? And the answer is yes! Yes, we should! A couple of weeks ago, Georgia received some unwelcome attention from news media around the world when we executed Kelly Gissendaner—over the appeal of no less a Christian leader than Pope Francis. Now, I believe, as does our United Methodist Church, that there are good Christian reasons to oppose capital punishment, but I’d like to talk about one bad reason for opposing the death penalty—and it’s a reason that I heard from many fellow Methodist two weeks ago. They said we should oppose capital punishment in general, and Gissendaner’s execution in particular, because it’s unjust. And I’m like, “No, it’s not—assuming the person’s guilty. It’s perfectly just. Perfect justice is an eye for an eye, a tooth for a tooth, a life for a life.” As the family of the man that Gissendaner conspired to murder said, she’s been able to enjoy about 18 years more of life that her late husband wasn’t able to enjoy. And the family is exactly right. That’s not just! If someone murders someone else, as Gissendaner did—and her crimes, which she acknowledged and for which she repented, were incredibly evil—if someone takes a life, then in the interest of justice, that person’s life ought to be taken. That’s what the Bible teaches. When Jesus spoke against using an “eye for an eye” in cases of personal vengeance, it wasn’t because the Bible was wrong, and an “eye for an eye” was unjust. No, it was because he was teaching us that mercy should rise above the demands of justice. Our problem is we want to see justice done—at least for the really bad people—the Hitlers, the Stalins, the Osama bin Ladens—just so long as justice isn’t done against us! No, for ourselves, we want everyone to have mercy on us! We want God to have mercy on us! But where does that leave us? God is “compassionate and gracious…, slow to anger, abounding in steadfast love and faithfulness,” but because God abounds in steadfast love, he can’t simply overlook evil. A part of being loving is being committed to justice. And if that’s the case, aren’t we in trouble? So now, on this side of the life, death, and resurrection of Christ, when we ask God to search us and try us—it’s not in order to prove how sinless and righteous we are—because none of us is sinless and righteous apart from grace. No, we ask him to search us and try us for the same reason we go to the doctor when we’re sick: so that we can be healed of this “disease” we call sin. I had my annual physical two weeks ago. The worst part for me, frankly, is stepping on the scale. I’m like, “Ugh! I don’t want to know how much weight I’ve gained!” I want to tell the nurse, you know, I’ve been working out, and the muscle mass I’ve gained weighs more than the fat I’ve lost. Ha! And I’m kind of afraid of the results of the blood work. I’m like, “I don’t want to know if something’s wrong with me and I’m dying!” But these things are good to know because our doctor will work to treat us if there’s a problem. But when we’re examined by our Lord Jesus Christ, the Great Physician, we don’t have to worry: Because guess why? We already know there’s something wrong with us! We already know we’re dying! And Jesus knows that too. But he wants to heal us. And if only we’ll place our faith in him, we can be confident that he will. Do you remember the movie It’s a Wonderful Life? 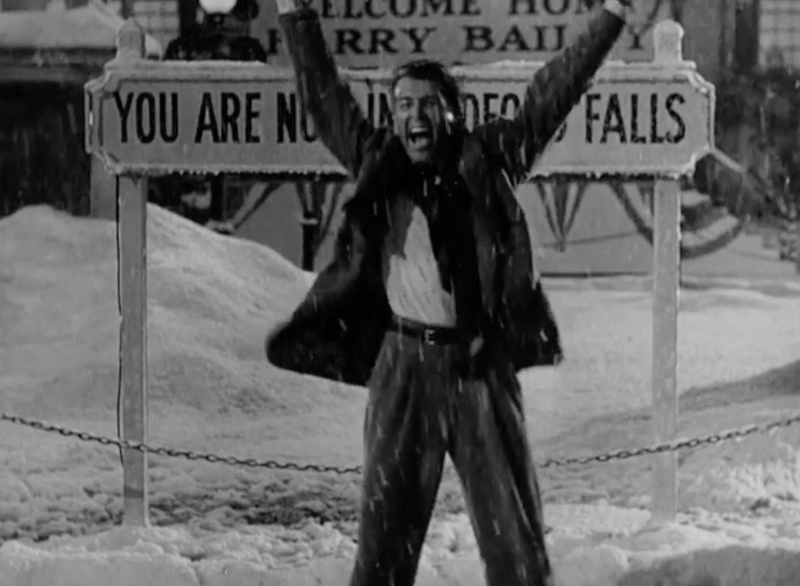 The hero in the movie, George Bailey, played by Jimmy Stewart, had all these grand ambitions—to get out of that one-horse town of Bedford Falls and travel the world, to accomplish great things, to be successful, to be rich and famous. And through a variety of circumstances mostly beyond his control, he gets stuck in Bedford Falls, toiling in obscurity, making a modest living running his late father’s savings and loan. He watches his younger brother go off to college and become a war hero. He watches his high school classmate strike it rich as a powerful industrialist. Meanwhile, by contrast, he feels like washed-up failure. And he decides that he’d be better off dead. He had no idea—at least until God intervened by sending an angel to show him this—he had no idea just how much good he had done for so many people! Every apparent setback in his life, every apparent failure, every hardship, every trial he endured—had been redeemed—had been turned by God into something incredibly good for so many. He was unaware until the end that this was happening. But this is what happens, as David says in verse 5, when God “hems us in, behind us and before us” and lays his guiding hand on us. It’s what happens when David describes how every day of our life has been planned and appointed by God. God has a unique and special plan for our lives—if only we’ll embrace it. At the end of the It’s a Wonderful Life, George’s brother, Harry, the war hero, says of George, “He’s the richest man in town!” But he wasn’t rich in treasure on earth, as he had planned to be. He was far wealthier: he was rich in treasure from heaven. And he now saw how much better that treasure was! This entry was posted on	October 19, 2015 at 2:21 pm	and is filed under Uncategorized. I was taught that while God forgives my sins in this life, he doesn’t necessarily take away the consequences of that sin, in this life. Therefore, if I steal, murder, or commit adultery, I can seek and receive God’s forgiveness, but I will still have to suffer the human consequences of my guilt. That’s justice before man. I agree that God doesn’t necessarily spare us from the consequences of our sin, but he does, I believe, bring good even out of these consequences. I’m with Grant, but also further I think there are, at least, some “competing principles” at play in the relationship between Christ “dying for our sins” and our own “responsibility” for them. Certainly as far as “where we go when we die,” Christ’s blood makes the total difference. But what about “rewards” or lack thereof? Doesn’t what we do or don’t do affect those? We shall “give account for every idle word,” Jesus says. Also: “Be not deceived, God is not mocked, for whatsoever a man sows, that shall he also reap.” Also, Paul’s differentiating between gold, silver, etc., and noting that if our works are such that they can be burned up, we lose out on rewards, yet we shall be saved, “yet as one escaping from the flames.” So, being “searched and tried” really is a scary scenario. Thankfully, one helpful bit is that if we are merciful to others, in some way that will work toward God’s being merciful to us! But I just think we have to be careful about the concept of everything being “under the blood” just because we are saved. I don’t disagree at all with rewards and consequences, etc. I also strongly agree, from painful personal experience, in the absolute seriousness of sin! God will not be mocked, indeed! If we are God’s children through faith in his Son, however, I don’t know that the prospect of being searched and tried should be a scary scenario. If we’re scared, how can we “rejoice in the Lord always”? We can be confident, I think, that God will redeem even our sin and mistakes—if we are in Christ.